Posted by Becky Engen on 9:24 PM on October 2, 2014 . Most Twin Cities residents know that Twin Cities Habitat for Humanity builds and restores homes for low-income families. What many don’t know, however, is that the organization also runs a retail store. The ReStore is a home improvement outlet featuring building products, appliances and furniture at remarkably low prices. New and gently used products are donated by many sources including builders, businesses, homeowners and more. The ReStore, in turn, sells the products to the public with proceeds going to build more Habitat homes. It’s also an ideal place for Habitat families to outfit their homes. Like so much of the Twin Cities Habitat for Humanity organization, the ReStore needs volunteers to thrive—and the projects for them seem endless. 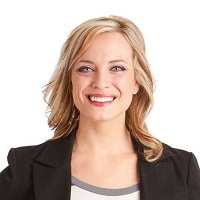 In fact, volunteers are critical to the store’s success. From unloading products and cleaning them, to displaying them, cashiering and even doing paperwork, there’s always something for volunteers to do. Equally valuable, however, is how ReStore volunteering gives back to participants. Recently four students ages 17-21 from the Dakota Ridge School in District 196 volunteered. Dakota Ridge is a school for students with special education services in District 196 who face social, emotional and behavioral challenges. Some learners continue their education through age 21 to develop their independent living, employment and post-secondary education skills. These learners participate in the “Steps to Independence” program where learners bridge the gap between high school and adulthood. Alicia Weagel, ReStore associate and volunteer coordinator, said the Dakota Ridge students moved cabinets, straightened the lumber department and cleaned the children’s play area. According to Shanna Graden, one of two Dakota Ridge teachers, volunteering at the ReStore helped students appreciate their own abilities. 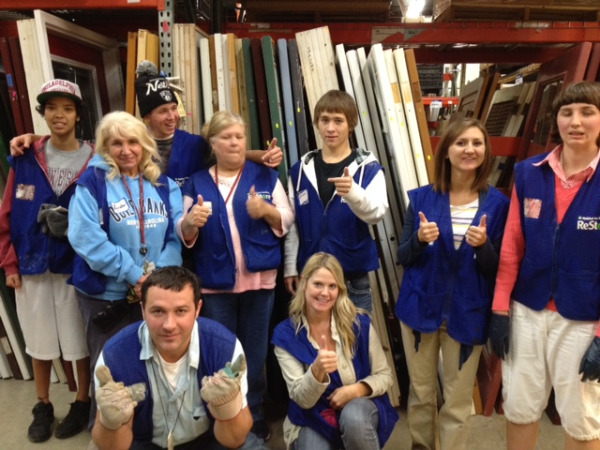 “The socialization skills of working with others and taking direction from a supervisor add to their skills, but volunteering at the ReStore also builds their confidence which helps them prepare for jobs and independent living,” said Shanna. Already a fan of Twin Cities Habitat for Humanity because of its high value to the community, Shanna and her students researched its volunteer opportunities. 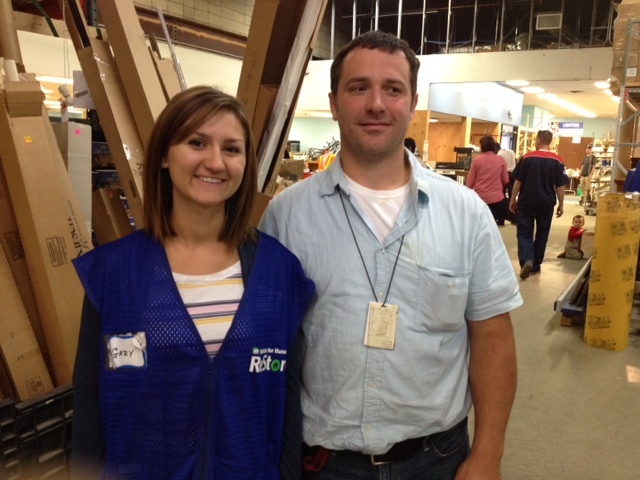 When they read about the ReStore, Shanna and co-teacher Jeremy Illig knew it was the perfect opportunity. Jeremy also saw tremendous value for their students. “The students learned that things they thought were destined for the dumpster can be recycled. They also learned the value of helping others,” said Jeremy. If you’re interested in volunteering, the ReStore welcomes a wide variety of individuals and groups. Some friends and/or coworkers come together to help, as do families. In addition, corporations, nonprofit organizations, community and faith-based groups also help out together at the ReStore. Individuals wanting to volunteer on an ongoing basis donate three to four hours a week for a minimum of three months. Assignments include cashiers, help desk assistants, floor assistants and donation collection assistants, among other opportunities. Anyone interested in assisting the ReStore should begin by visiting the web site: http://restore.tchabitat.org/volunteer or by calling the store at 612-588-3820.